For consumers, a packaging award presented by Dow Chemical might not sound as exciting as tonight’s Emmys, but looking down the three tiers of winners, plenty of big name brands were involved in this year’s competition including Doritos, Green Giant, and KitKat. The top Diamond Award went to Air Assist from Procter & Gamble—a gas-filled plastic bag that's rigid enough can replace liquid-dispensing bottles while using less material—but among the nine products landing in the top tier of Diamond Finalists, is Garçon Wines’ Flat Wine Bottle. The bottle was originally developed to solve a single problem: allow a wine bottle to fit through a standard-sized U.K. mail slot to prevent missed deliveries which can be common with wine shipping. But Dow also points to a number of secondary benefits of the design—including the choice to use plastic. “Using 100 percent post-consumer recycled PET instead of glass significantly reduces shipping weight and cost, eliminates potential breakage in transit and offers a more eco-friendly packaging material solution than regular plastic or glass,” Dow says on its website. Packaging World suggests that failed deliveries not only cost the British online retail industry nearly $1 billion each year, but also adds 900,000 kilograms of carbon emissions by the redelivery or pick up of undelivered packaged. Meanwhile, spurred by their serendipitous innovation, Garçon Wines said their current bottle is “really just the tip of the iceberg.” Apparently, similar packaging will soon be coming to more countries and more products. 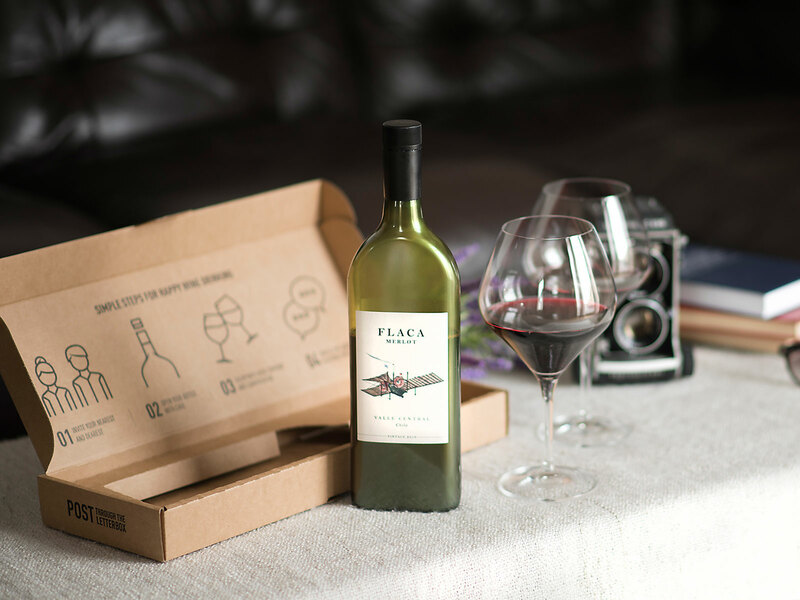 “We’ve secured our intellectual property for flat bottles across 35 of the main wine-consuming and producing countries, and we’ve got plans afoot to enter key wine and spirits markets,” CEO and Co-Founder Santiago Navarro told Packaging World. Flat bottles of whiskey delivered right to your door, anyone? ?